(Natural News) It has come to our attention here at Natural News that Google is now marching in lockstep with the authoritarian Chinese government and its communist agenda of total censorship and population control. 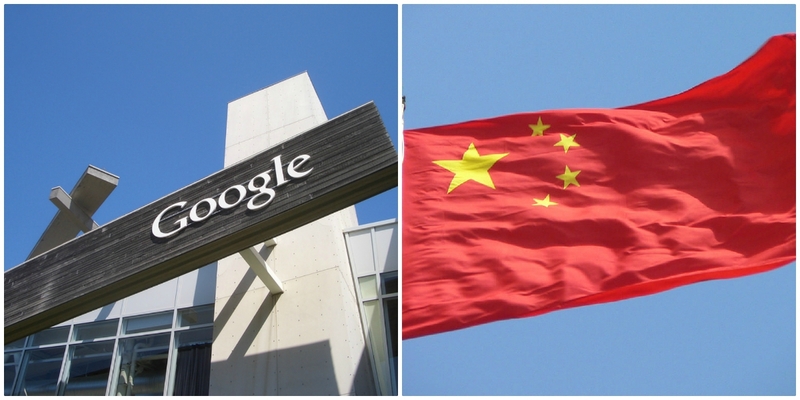 According to new reports, Google is right now in the process of developing a completely redesigned search engine platform for China that meets all of the totalitarian regime’s communist guidelines for permissible content. Chinese dictator-for-life Xi Jinping reportedly partnered up with Google to design a brand new platform controlling everything that China’s 1.3 billion citizens are allowed to see online. In other words, only government-approved content will be allowed to show up on Google’s “new and improved” search engine in China. Meanwhile, Google is now actively censoring conservative content here in the United States, as well as manipulating search results to favor Democratic political candidates like Hillary Clinton. “We can only imagine what such a search engine might look like: Looking for information about Tibet, the Dalai Lama, and its Buddhist population?” writes David Unsworth for PanAm Post. “Tibet has always been part of China, the Dalai Lama is a fraud and a counter-revolutionary, and Buddhists are not good Communists. Want to find out about China’s mass concentration camps for political prisoners? They don’t exist. The Tiananmen Square massacre? It didn’t happen,” he adds about the types of politically-correct content that’s sure to show up on Google China Edition. To many leftists, this online “book burning” by Google is a necessary step to “preserve democracy.” But American patriots will immediately recognize Google’s censorship agenda as an evil plot to abolish freedom of speech all around the world – not to mention the U.S. Constitution itself. Censoring people like Alex Jones, whom the establishment claims is spreading “wild conspiracy theories” and “hate speech,” represents the first step in a total information takeover by Big Tech. It’s an unabashedly pro-communist agenda that’s now in plain view for the entire world to see. Liberals are, of course, cheering it all on because the current target happens to be conservatives. But what these useful idiots on the left fail to realize is that their day will eventually come, too. All free speech will one day be abolished if multinational corporations like Google aren’t stopped. Google isn’t even being honest about what the corrupt left is doing to other people on the left, perhaps most notably Hillary Clinton’s theft of the Democratic nomination for president from who should have been the rightful recipient, Bernie Sanders. More news on the left’s continued attempts to eliminate freedom of speech in America with the help of Big Tech, is available at LiberalMob.com. Also, be sure to check out Brighteon.com for uncensored truth videos that you won’t find at Google-owned YouTube.